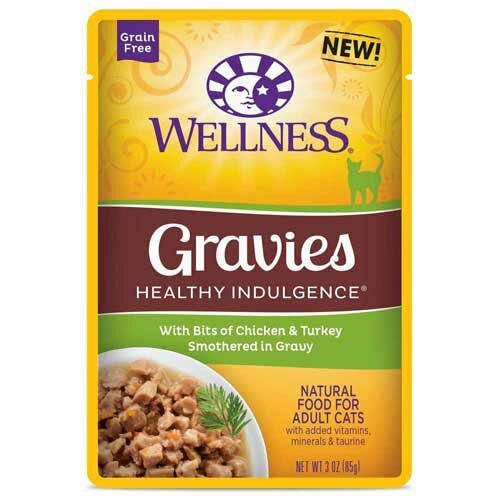 Wellness Healthy Indulgence Gravies Chicken and Turkey in Gravy Cat Food, 3 Ounce - 24 per case. View More In Puffed Snacks. Stacys Multigrain Pita Chips, 7.3 Ounce - 12 per case. Late July Organic Jalapeno Lime Tortilla Chips, 5.5 Ounce - 12 per case.